The three-tiered room, filled to the brim with small tables glowing with candlelight, is the perfect setting for Bob DiPiero’s annual Songwriters Showcase. “I think what has happened over 10 years, there has been a tipping point here in NY, it’s like preaching the hillbilly gospel, it’s better for someone to see the songwriter show then try and describe it,” DiPiero told us when we sat down with him at last year’s event. 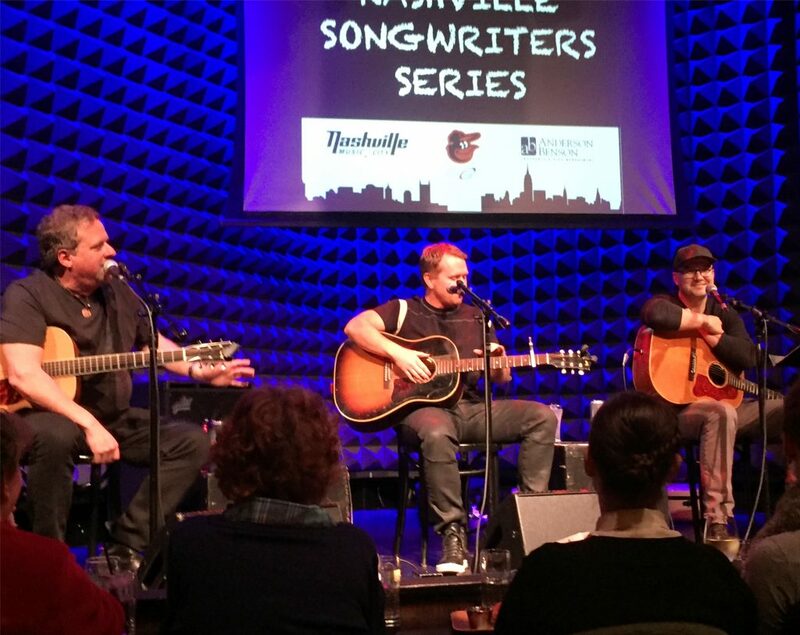 For the 2017 installment, DiPiero was joined by hit songwriters Shane McAnally and Luke Laird. Taking turns in traditional round style, the three talented men told stories about the songs, cracked jokes about each other, and let the audience appreciate the life of a songwriter and the joy it brings them to work in this industry. DiPiero reminisced, “I was making $75 a week and I thought I had the best job in the world,” before playing his very first number one hit, the 1983 Oak Ridge Boys cut “American Made.” Keeping up with the American theme, up next was “American Kids,” the first song McAnally, Laird and Rodney Clawson wrote together. “We were throwing out titles, it ended up being a laundry list of growing up in America,” he told the sold-out crowd. Luke Laird’s powerful performance of his recent number one hit “Fast” quickly became a highlight of the night. After the eruption of applause, McAnally took a moment to compose himself, thinking about his own children, four year-old twins, and recalling how fast the time really does go. “To be sitting up here but also have these kind of cathartic moments and to be able to share these moments with y’all, that is the best experience,” McAnally expressed. As the three hit-makers took turns playing their songs, whether the song was written two decades ago or one year ago, the audience was captivated and sang along. 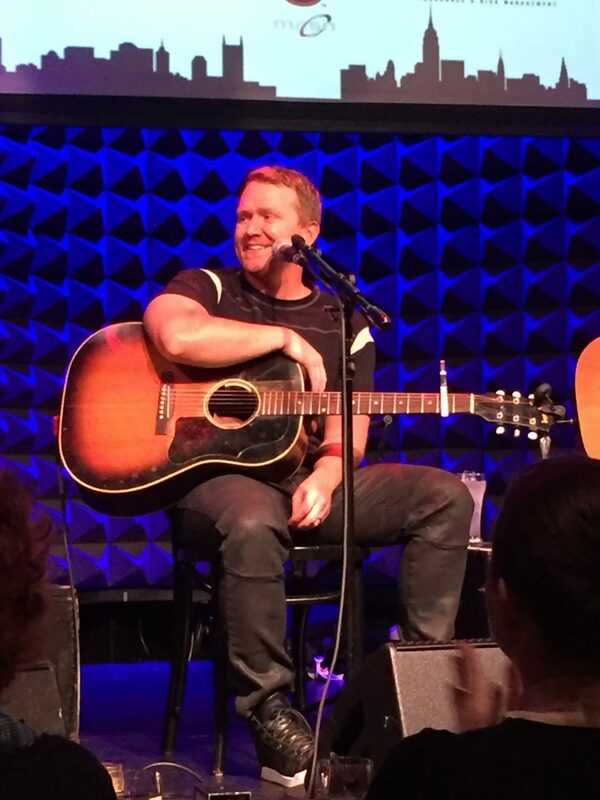 For more events like this one, check out Joe’s Pub.